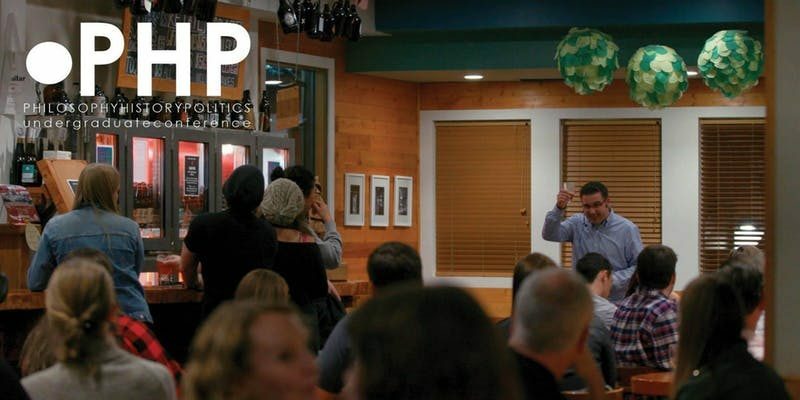 The annual Philosophy, History and Politics of Beer Conference returns for a fun evening of lively discussions about beer, presentations by PHP faculty members, pizza and locally-brewed beer. This one-day conference is a fundraiser for the PHP Conference in January. See more about that below. Hear from Dr. Tim Fitzjohn (the philosophy of beer), Dr. Michael Gorman (the history of beer) and Dr. Terry Kading (the politics of beer). Each January, students from across Canada and the United States are invited to a three-day conference held at TRU to present their original research papers in the fields of philosophy, history, or politics, network with other undergraduate students and faculty, and enjoy social events throughout the weekend.